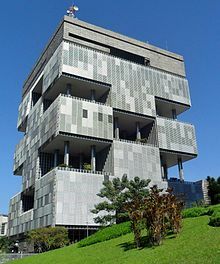 Petrobras world headquarters in Rio de Janeiro. The company is the most important energy producer in Brazil, as well as the country's second largest company, after Itaú Unibanco. At the end of the 1990s and the beginning of the 2000s, Brazil's energy sector underwent market liberalization. In 1997, the Petroleum Investment Law was adopted, establishing a legal and regulatory framework, and liberalizing oil production. It created the CNPE and the ANP, increased use of natural gas, increased competition in the energy market, and increased investment in power generation. The state monopoly on oil and gas exploration ended,[how?] and energy subsidies were reduced. However, the government retained monopoly control of key energy complexes and regulated the price of certain energy products. Current[when?] government policies concentrate mainly on improving energy efficiency in both residential and industrial sectors, as well as increasing use of renewable energy. Further restructuring of the energy sector will be one of the key issues for ensuring sufficient energy investments to meet the rising need for fuel and electricity. Launch ceremony for oil platform P-52, which operates in the Campos Basin. Brazil is the world's 12th-largest oil producer. Up to 1997, the government-owned Petróleo Brasileiro S.A. (Petrobras) had a monopoly on oil. More than 50 oil companies now are engaged in oil exploration. The only global oil producer is Petrobras, with an output of more than 2 million barrels (320,000 m3) of oil equivalent per day. It is also a major distributor of oil products, and owns oil refineries and oil tankers. In 2006, Brazil had 11.2 billion barrels (1.78×109 m3) the second-largest proven oil reserves in South America after Venezuela. The vast majority of proven reserves were located in the Campos and Santos offshore basins off the southeast coast of Brazil. In November 2007, Petrobras announced that it believed the offshore Tupi oil field had between 5 and 8 billion barrels (1.3×109 m3) of recoverable light oil and neighbouring fields may even contain more, which all in all could result in Brazil becoming one of the largest producers of oil in the world. Brazil has been a net exporter of oil since 2011. However, the country still imports some light oil from the Middle East, because several refineries, built in the 1960s and 1970s under the military government, are not suited to process the heavy oil in Brazilian reserves, discovered decades later. Transpetro, a wholly owned subsidiary of Petrobras, operates a crude oil transport network. The system consists of 6,000 kilometres (3,700 mi) of crude oil pipelines, coastal import terminals, and inland storage facilities. Cars fueled by natural gas, such as this Fiat Siena, are common in Brazil. At the end of 2017, the proven reserves of Brazil's natural gas were 369 x 109 m³, with possible reserves expected to be 2 times higher . Until recently natural gas was produced as a by-product of the oil industry. The main reserves in use are located at Campos and Santos Basins. Other natural gas basins include Foz do Amazonas, Ceara e Potiguar, Pernambuco e Paraíba, Sergipe/Alagoas, Espírito Santo and Amazonas (onshore). Petrobras controls over 90 percent of Brazil’s natural gas reserves. Brazil's inland gas pipeline systems are operated by Petrobras subsidiary Transpetro. In 2005, construction began on the Gas Unificação (Gasun pipeline) which will link Mato Grosso do Sul in southwest Brazil, to Maranhão in the northeast. China’s Sinopec is a contractor for the Gasene pipeline, which will link the northeast and southeast networks. Petrobras is also constructing the Urucu-Manaus pipeline, which will link the Urucu gas reserves to power plants in the state of Amazonas. In 2005, the gas production was 18.7 x 109 m³, which is less than the natural gas consumption of Brazil. Gas imports come mainly from Bolivia's Rio Grande basin through the Bolivia-Brazil gas pipeline (Gasbol pipeline), from Argentina through the Transportadora de Gas de Mercosur pipeline (Paraná-Uruguayana pipeline), and from LNG imports. Brazil has held talks with Venezuela and Argentina about building a new pipeline system Gran Gasoducto del Sur linking the three countries; however, the plan has not moved beyond the planning stages. Brazil has total coal reserves of about 30 billion tonnes, but the deposits vary by the quality and quantity. The proved recoverable reserves are around 10 billion tonnes. In 2004 Brazil produced 5.4 million tonnes of coal, while coal consumption reached 21.9 million tonnes. Almost all of Brazil’s coal output is steam coal, of which about 85% is fired in power stations. Reserves of sub-bituminous coal are located mostly in the states of Rio Grande do Sul, Santa Catarina and Paraná. Brazil has the world's second largest known oil shale (the Irati shale and lacustrine deposits) resources and has second largest shale oil production after Estonia. Oil shale resources lie in São Mateus do Sul, Paraná, and in Vale do Paraíba. Brazil has developed the world’s largest surface oil shale pyrolysis retort Petrosix, operated by Petrobras. Production in 1999 was about 200,000 tonnes. Gas centrifuge for the extraction of uranium hexafluoride in a military facility at Iperó, built with Brazilian technology. Brazil has the 6th largest uranium reserves in the world. Deposits of uranium are found in eight different states of Brazil. Proven reserves are 162,000 tonnes. Cumulative production at the end of 2002 was less than 1,400 tonnes. The Poços de Caldas production centre in Minas Gerais state was shut down in 1997 and was replaced by a new plant at Lagoa Real in Bahia. There is a plan to build another production center at Itatiaia. Power sector reforms were launched in the mid-1990s and a new regulatory framework was applied in 2004. 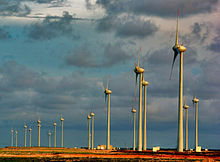 In 2004, Brazil had 86.5 GW of installed generating capacity and it produced 387 Twh of electricity. As of today 66% of distribution and 28% of power generation is owned by private companies. In 2004, 59 companies operated in power generation and 64 in electricity distribution. The major power company is Centrais Elétricas Brasileiras (Eletrobrás), which together with its subsidiaries generates and transmits approximately 60% of Brazil's electric supply. The largest private-owned power company is Tractebel Energia. An independent system operator (Operador Nacional do Sistema Elétrico [pt] - ((ONS)), responsible for the technical coordination of electricity dispatching and the management of transmission services, and a wholesale market were created in 1998. During the electricity crisis in 2001 , the government launched a program to build 55 gas-fired power stations with a total capacity of 22 GW, but only 19 power stations were built, with a total capacity of 4,012 MW. Itaipu Dam, the world's largest hydroelectric dam by generating capacity. Brazil is the third largest hydroelectricity producer in the world after China and Canada. In 2007 hydropower accounted for 83% of Brazilian electricity production. The gross theoretical capability exceeds 3,000 TWh per annum, of which 800 TWh per annum is economically exploitable. In 2004, Brazil produced 321TWh of hydropower. The installed capacity is 59 GW. Brazil co-owns the Itaipu hydroelectric power plant on the Paraná River located on the border between Brazil and Paraguay, which is the world's second largest operational hydroelectric power plant with installed generation capacity of 14 GW by 20 generating units of 700 MW each. Due to Brazil's dependence on hydroelectric power and lack of investments in transmission, the reserves were being overused for several years, which led to the dams having a low level of water. Then after another bad year of rain, in June 2001, the government was forced to ration electricity usage, this ended in late 2001. Since then, due to the new rules of the sector, new power lines were built as were new power plants. While the load is even bigger than it was in 2001 the system is much safer. Nuclear energy accounts for about 4% of Brazil's electricity. The nuclear power generation monopoly is owned by Eletronuclear (Eletrobrás Eletronuclear S/A), a wholly owned subsidiary of Eletrobrás. 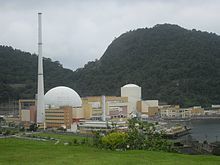 Nuclear energy is produced by two reactors at Angra. It is located at the Central Nuclear Almirante Álvaro Alberto (CNAAA) on the Praia de Itaorna in Angra dos Reis, Rio de Janeiro. It consists of two pressurized water reactors, Angra I, with capacity of 657 MW, connected to the power grid in 1982, and Angra II, with capacity of 1,350 MW, connected in 2000. A third reactor, Angra III, with a projected output of 1,350 MW, is planned to be finished by 2014 and work has been paralyzed due to environmental concerns, but the licenses are being approved and the heavy construction work will start in 2009. By 2025 Brazil plans to build seven more reactors. In February 2008 President Lula da Silva signed a nuclear cooperation agreement with Argentina. Due to its ethanol fuel production, Brazil has sometimes been described as a bio-energy superpower. Ethanol fuel is produced from sugar cane. Brazil has the largest sugar cane crop in the world, and is the largest exporter of ethanol in the world. With the 1973 oil crisis, the Brazilian government initiated in 1975 the Pró-Álcool program. The Pró-Álcool or Programa Nacional do Álcool (National Alcohol Program) was a nationwide program financed by the government to phase out all automobile fuels derived from fossil fuels in favour of ethanol. The program successfully reduced by 10 million the number of cars running on gasoline in Brazil, thereby reducing the country's dependence on oil imports. The production and consumption of biodiesel is expected to reach to 2% of diesel fuel in 2008 and 5% in 2013. Brazil's peat reserves are estimated at 25 billion tonnes, the highest in South America. However, no production of peat for fuel has yet been developed. Brazil produces 65 million tonnes of fuelwood per year. The annual production of charcoal is about 6 million tonnes, used in the steel industry. The cogeneration potential of agricultural and livestock residues varies from 4 GW to 47 GW by 2025. Starting from 8 November 2011 Chevron had spill of crude oil off the southeastern coast of Brazil. 416,400 liters oil leaked in two weeks from undersea rock well in the Frade oil project 370 km off the Brazilian coast. Prosecutors in Brazil demand $10.6bn in the legal suit. Chevron's activities are suspended until the cause of the oil spill is clear. The Munduruku indigenous group in Pará state faced problems with the authorities who wanted to build hydropower plants on the Tapajós river without their permission. Silvestre, B. S., Dalcol, P. R. T. (2009) Geographical proximity and innovation: Evidences from the Campos Basin oil & gas industrial agglomeration — Brazil. Technovation, Vol. 29 (8), pp. 546–561. ^ a b "Project Closing Report. Natural Gas Centre of Excellence Project. Narrative" (PDF). 20 March 2005. Archived from the original (PDF) on 2007-09-27. Retrieved 2007-05-12. ^ a b c "OECD Economic Survey of Brazil 2005: Regulation of the electricity sector" (PDF). Retrieved May 12, 2007. ^ "Brazil's Senate approves new petroleum investment law". Oil and Gas Journal. PennWell Petroleum Group. July 28, 1997. Retrieved February 11, 2018. ^ a b c "Critical issues in Brazil's energy sector" (PDF). Baker Institute. June 2004. Retrieved 2007-05-19. ^ Gary Duffy (2007-11-09). "Brazil announces new oil reserves". BBC. Retrieved 2007-12-12. ^ Thania. "ANP divulga dados de reservas de petróleo e gás em 2017". www.anp.gov.br (in Portuguese). Retrieved 2018-10-28. ^ a b c d e f "Survey of energy resources" (PDF). World Energy Council. 2004. Retrieved 2007-07-13. ^ Altun, N. E.; Hiçyilmaz, C.; Hwang, J.-Y. ; Suat Bağci, A.; Kök, M. V. (2006). "Oil Shales in the world and Turkey; reserves, current situation and future prospects: a review" (PDF). Oil Shale. A Scientific-Technical Journal. 23 (3): 211–227. ISSN 0208-189X. Retrieved 2007-06-16. ^ Ronaldo C. Fabrício (March 20, 2005). "Outlook of Nuclear Power in Brazil" (PDF). Eletronuclear. Retrieved 2007-05-12. ^ "A struggle for power". The Economist. Retrieved 2018-09-24. ^ a b "Key World Energy Statistics -- 2006 Edition" (PDF). International Energy Agency. 2006. Archived from the original (PDF) on 2007-07-09. Retrieved 2007-07-13. ^ "Power: World's biggest hydroelectric facility". USGS. Archived from the original on May 19, 2006. Retrieved May 18, 2006. ^ "Nuclear Power in Brazil. Briefing Paper # 95". Uranium Information Centre. May 2007. Archived from the original on 2007-02-08. Retrieved 2007-05-19. ^ "Brazil plans to build seven nuclear reactors". Mecropress. 23 October 2006. Retrieved 2007-05-19. ^ "Brazil and Argentina's Nuclear Cooperation". Nonproliferation for Global Security Foundation. Dec 2008. ^ "Quais as melhores regiões do Brasil para geração de energia fotovoltaica? - Sharenergy". Sharenergy (in Portuguese). 2017-02-03. Retrieved 2018-10-07. ^ a b "Invest in Brazil". CAPITAL INVEST: Top M&A Financial Advisors in Brazil (Sao Paulo). 2018-08-23. Retrieved 2018-10-07. ^ "Boletim Mensal de Geração Solar Fotovoltaica Fevereiro/2019" (PDF) (in Portuguese). Operador Nacional do Sistema Elétrico - ONS. 2019-04-03. p. 6. Retrieved 2019-04-06. ^ "Brasil é o país com melhor fator de aproveitamento da energia eólica". Governo do Brasil (in Portuguese). Retrieved 2018-10-07. ^ "Boletim Mensal de Geração Eólica Fevereiro/2019" (PDF) (in Portuguese). Operador Nacional do Sistema Elétrico - ONS. 2019-04-03. p. 5. Retrieved 2019-04-06.